Our podcast recently celebrated the 10th anniversary of the day we started our podcast and to celebrate we’re giving our listeners a chance to possibly win either $100, $50 or $25 worth of genre items from Amazon.com. To enter the contest, just submit an email, voicemail or Skype message and let us know how and when you started listening to our podcast. The contest begins today. Submissions must be received by November 30, 2018 at 11:59 PST. Submitting your email or voicemail with the information in the Eligible Entry section below permits your name to be entered into a random drawing where three winners will be selected. One winner gets $100 worth of genre items from Amazon.com, another winner gets $50 worth of genre items and one winner gets $25 worth of genre items. Include your First and Last Name, your Home town and your Email Address to contact you at if you win along with when and how you found out about our podcast. Please note that we will not use or share your e-mail address or personal information with anyone for any reason. It is only used for us to contact you should you win. 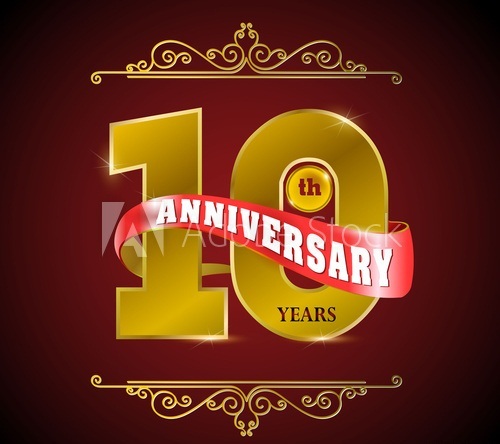 – Email your entry to contest@tuningintoscifitv.com with the Subject of 10th Anniversary Giveaway. – Leave a message with your entry on our Voicemail at 706-927-8478. The winning entry will be selected based on a random drawing from all valid submissions. One entry per person. The winner will be announced on the Tuning in to SciFi TV episode scheduled for release on or around November 20, 2018 and also notified by email.